Everyone's favourite baseball-themed Toronto craft-brewers will be opening their own brewery in Leslieville this year. 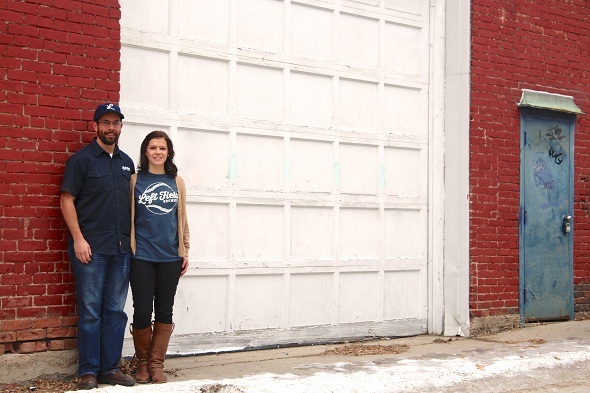 Left Field Brewery, run by husband and wife team Mark and Mandie Murphy, has revealed that as of February 1st, they will be moving into a space at 36 Wagstaff Drive. 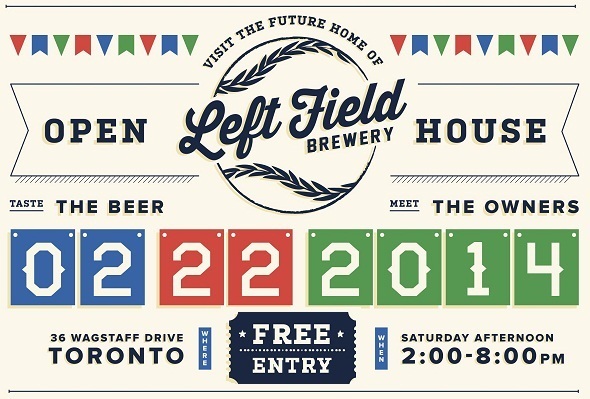 The announcement comes roughly one year after Left Field Brewery first arrived on Toronto's brewing scene and, as they told us they would back in March, they've spent the interim looking for the right space to call their own while building their brand and making their beer at larger facilities, contracting space from Grand River Brewing in Cambridge and Barley Days Brewery in Picton. The site of their future brewery is roughly 100 years-old and was formerly a brick factory, but it has sat vacant for the last three years. Left Field Brewery has taken over 6,000 of the building's 10,000 square feet, giving them enough room for a 20-hectolitre brewing system, a tasting room, some office space and, potentially, the ability to expand operations if the need arises in the future. The building clearly needs a little care, but the duo seems up to the task. "It's not pretty," Mark says. "It needs some love," Mandie agrees, before pointing out its thematically appropriate potential. "It's a little rough around the edges, but it kind of has the style of an old ballpark right now." While the building sits in what is technically within the boundaries of Leslieville, it's closer to the Danforth than it is to the foot traffic and retail of Queen Street East, sitting roughly one kilometre south of Greenwood Station. As for timelines, Mark and Mandie are optimistic about getting the doors open as soon as possible. "The brewing equipment, between the time you order it and then it's built and delivered and installed--you can make that happen in six months." Mandie says. The application process for retail sales, though, can take up to a year so their projected doors-open date is sometime in early 2015. In anticipation of these big developments, Left Field Brewery officially doubled their workforce this week: Mandie gave notice at her job and is now also working full time for the brewery, bringing their total staff to two. As for the beer, they'll likely introduce some more one-offs and experimental offerings when they open the brewery, but the plan is to sell cans of their core brands, Eephus Oatmeal Brown, Maris Pale Ale, and 6-4-3 Double IPA. In the meantime, they'll be holding an open house on February 22nd so that they can meet the neighbours and people can get a chance to check out the space before construction starts on their brewery, retail space, and tasting room. Food will be provided by Big House Pizza and pints of Left Field beer will be available for just $5.